Calabos was a wonderful show dog and he just loved his weekly outings. 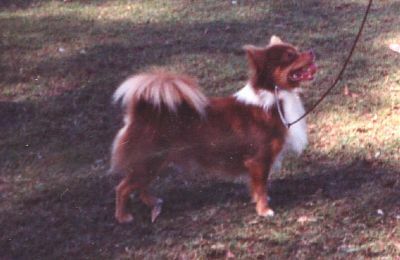 During his show career he had numerous wins, including Best of Breeds at Royal Shows, many Class in Group & Class in Show awards. Calabos was one of my first show speciman's and I was lucky to have been able to purchase such a good / typey sound speciman. He was used at Stud sparingly, however you will still see him present in my Pedigrees.